HMD Global launched five devices at its launch event at the ongoing Mobile World Congress (MWC) event in Barcelona. The launch line-up did not leave out any price segment, with everything from the humble feature phone to premium flagships being covered. HMD started out with the Nokia 8810, an entry-level Nokia 1, the budget segment's Nokia 6 (2018), the high-end Nokia 7 Plus and premium Nokia 8 Sirocco. 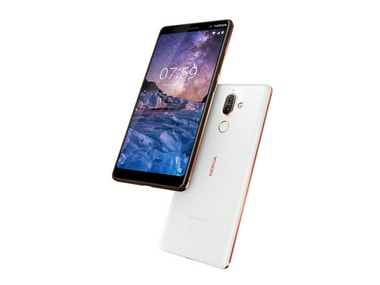 Nokia 7 Plus will come with 64 GB internal storage with support for a microSD card with up to 256 GB capacity and 4 GB RAM while running Android 8.0 Oreo out of the box. The launch of the Nokia 7 Plus is the right time to find out how it stacks up against the competition. For this roundup, we're going with the Honor View 10, Moto Z2 Force, Mi Mix 2 and OnePlus 5T vs the Nokia 7. The reason we selected these smartphones is that all these smartphones are likely to be in the same price range regardless of their hardware. Bear in mind that we're still not done testing some of these smartphones, so we're currently comparing them going only by their specifications on paper.